So you’ve finished a dive. The water was crystal clear and the reef was teeming with marine life. Before you pack up to go home, you record the information from your dive in your logbook. After all, the dive is not officially over until you complete your dive log. Dive logs are a common sight around dive shops these days. Keeping them after every dive is a habit all scuba divers are encouraged to develop from their first scuba course, and which many divers continue throughout their diving careers. But, why do we keep dive logs? Dive logs were first used to ensure safe dive planning of repetitive dives. Divers would record the information from previous dives in a logbook, so that they could calculate the safe parameters for their next one. With the advent of dive computers, planning has become largely obsolete. But there are other reasons to keep dive logs. Here are six of them. In order to acquire advanced certifications and become a rescue diver, divemaster, or dive instructor, you need to prove that you’ve successfully completed a certain number of dives. Apart from your certification card(s), which say nothing about the number of dives you have completed, your dive log is the most widely accepted way of proving your diving experience. Any diver with the ambition to progress as far as they can should always keep a record of their experience in a dive log. Additionally, dive shops use dive logs to make sure that your experience level matches the type of diving you are planning to do. Responsible dive shops will check for the last time you went diving, the number of dives you have completed, and the types of dives you have done before they allow you to get on a boat with them. Your logbook provides all of that. Not everyone gets to dive in warm water all the time. Many of us wear different exposure suits depending on water temperature and dive conditions, and therefore may have to vary the amount of weight they use. Remember, being properly weighted is crucial to obtaining neutral buoyancy while at depth and you don’t want to waste a dive or two by experimenting with different weight amounts. You want to get it right every time to get the most out of your dive. Divers who dive the same sites multiple times can use dive logs to help them properly prepare for what to expect from the dive site. By noting the best entry points, time of day, and unique dive conditions, you will go into each dive well-informed and prepared. Your dive log is also the perfect place to keep an accurate record of your gear configurations and what to expect at certain dive sites. Scuba diving is not something that you do once; it’s a lifelong hobby that involves constant improvement. Every dive is a learning experience, and even the most frequent divers have room to improve. Those who log their dives have greater opportunities to advance their skills than those who don’t. First, you can use the information in your logs to identify your personal learning needs. Are you consuming your air too fast? Is your buoyancy out of control? Logging the details of your dive can help you identify the skills you need to work on, such as buoyancy control, air consumption, or fish identification. Second, you can track your progress towards achieving your goals. Beginners are often limited not by reaching their no-decompression time limits but by the fact that they consume air relatively quickly. Learning to conserve air is an important skill to develop to maximize dive times and optimize your diving experience. By tracking air consumption and comparing the effects of different dive conditions (current, water temperature, etc.) divers can learn to use their air more effectively. Many divers use their dive log as an underwater journal or diary. 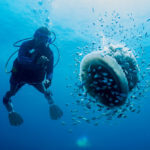 In other words, a place to preserve the memories of the incredible experience that is scuba diving. Many of us can’t even remember what they ate yesterday or last week, so we can’t rely on our memory to recall the details of every dive. Keeping a dive log allows you to take note of the highlights of your dive experience, the features and depths of dive sites, and any fascinating marine life encounters. The more you dive the more attentive you become to the specific characteristics of different fish and other marine animals. Noting the types of marine life, you see on your dives is an excellent way to improve your fish identification skills. As divers, we share an instant connection with each other based on our mutual passion for diving. Getting together as a group after a dive to write dive logs or creating them online and sharing them with your dive buddies is another chance to bond. Discussing the details of your dives and swapping stories is a perfect opportunity to become closer with your friends or to make further connections with new dive buddies. 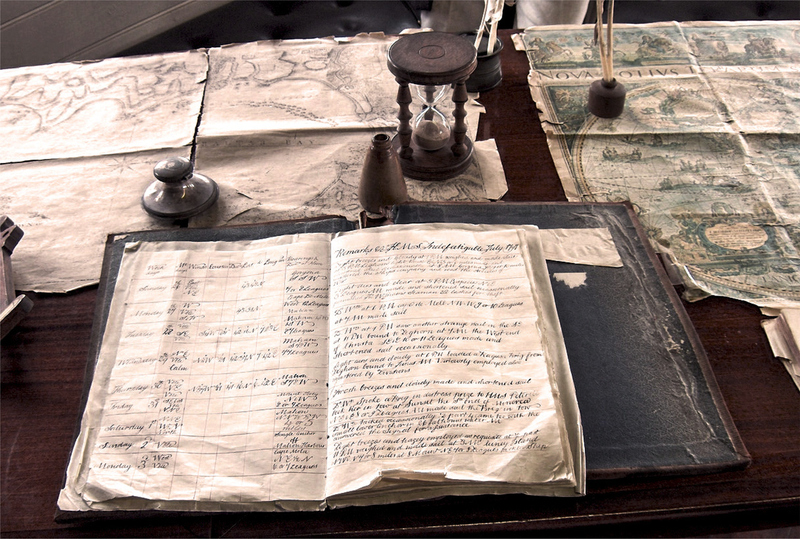 Until recently, dive logs have been written exclusively in paper logbooks. The problem with this is that writing your logs with a pen and paper can be tedious. The logbooks themselves can get wet or crumple over time. They can easily be lost or forgotten during travel. And the finished product is unattractive. Luckily, in this hyper-technological, digital era, companies like Deepblu are creating new innovations and products that make our lives easier. 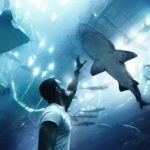 With the COSMIQ+ Dive Computer and the Deepblu app, Deepblu has overhauled the process of creating dive logs and significantly improved the dive logs themselves. 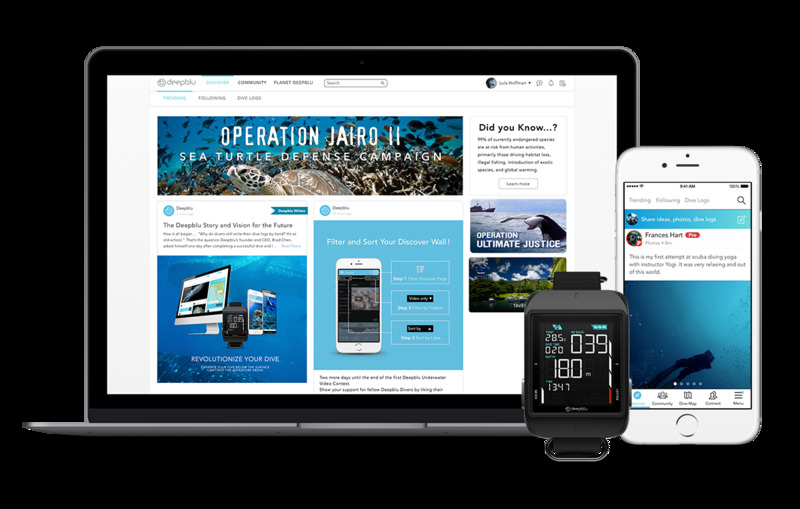 Divers can now create digital logs in just a few minutes, with minimal effort, using their smartphones. You can even add photos and videos to your dive log to make the memory more vivid. 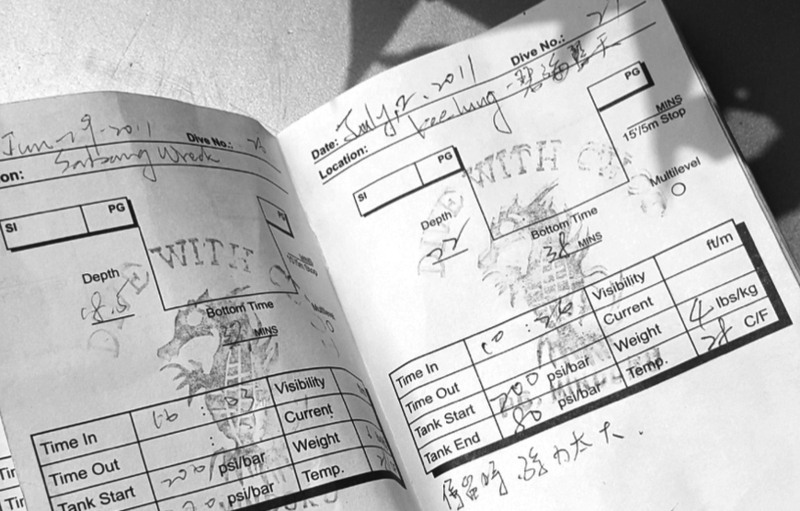 Instructors can digitally sign dive logs so you don’t have to watch the stamp ink run out. Even the synchronization of dive data is wireless, making a previously tedious task fun! Ultimately, the choice of whether or not to log your dives is a personal one. The amount of information you record is up to you. Keep in mind that you will never regret keeping a dive log but you might regret not doing so.